THIRUVANANTHAPURAM: Come June 21 and the city will be a witness to a grand musical treat as Alliance Française de Trivandrum celebrates Fête de la Musique (World Music Day) with a bevy of programmes. The show is set to enthrall the city residents with several music performances by artists. The day will also offer a rare visual and musical extravaganza as ‘Be the Change’, a happy synthesis of two cultures through music and dance is staged. Watch the Oriental meet the West in this production. The production will feature the team Karnatriix which comprises John Anthony (guitarist/composer), Rahul C R (bassist), Akhil J Chand (vocalist) and Claire Le Michel as singer, choreographer and dancer. “The musical compositions are a blend of the Oriental and the West. Similarly, the dance is a coming together of different cultures. The guiding thread of the performance is the relationship of Nature to its own nature and the search for peace,” the makers of the Indo-French contemporary dance and music production ‘Be the Change’ has said, in its statement. The programme will begin from 4pm at Vyloppilly Samskrithi Bhavan. Entry is free. The idea of celebrating World Music Day took roots in France and the first of such a music celebration started in Paris in 1982. It later spread to other regions. “Fête de la Musique celebrates music which is a unifying force, a thread which connects all irrespective of any difference in race, colour, accent or creed and brings together world to a musical platform. 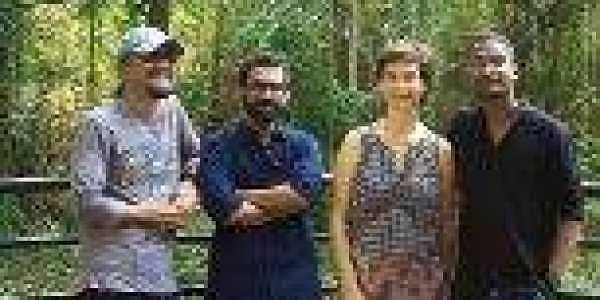 Its prime objective is to promote music in all its diversities and all musicians, amateurs or professionals,” said Alliance Française de Trivandrum in its statement.